When the sun came up on Friday, Feb. 1, a new era of Vanderbilt Athletics dawned. Malcolm Turner, the former president of the NBA G League, is now Vanderbilt’s athletic director. He spent his first day touring around Vanderbilt’s facilities and meeting his new colleagues, coaches and student-athletes. For the first time in 17 years, a fresh face walked the halls of McGugin Center as AD. As he prepares to settle into his new role in the coming months, Turner will begin the process of bringing Vanderbilt Athletics into the future while reaffirming “The Vanderbilt Way” of developing student-athletes on and off the field. There’s a lot on Turner’s plate as his tenure begins, and he’s ready to dig in. With so many issues to tackle regarding Vanderbilt Athletics, it’s hard to know where to start. For Turner, it comes down to understanding the department he now leads and the university he now calls home. That requires a lot of conversations and a lot of listening. “I want to make sure that I spend time with a broad set of constituencies, from student-athletes to coaches to our fans to our administration, staff, faculty on down the line in terms of the role of Athletics, the achievements to date for Vanderbilt Athletics, and also what we can achieve going forward,” Turner said in an exclusive interview with The Vanderbilt Hustler. In the month and a half between when Turner was announced as the new AD and his official start date on Feb. 1, he had the chance to meet many members of the Vanderbilt community at the Texas Bowl in Houston. On his first day, he introduced himself to the coaches and student-athletes that he will now be overseeing. Now that he has finally completed his move from New York to Nashville, he’s ready to hear more from the community he’s starting to get to know. That plan will take the form of an “Athletic Strategic Plan,” which will be a big part of a campus-wide capital campaign to help shape the future of the university and the athletic department, per Turner’s introductory post on VUCommodores.com. His tour of listening and learning will undoubtedly play a big role in what is included in that plan. 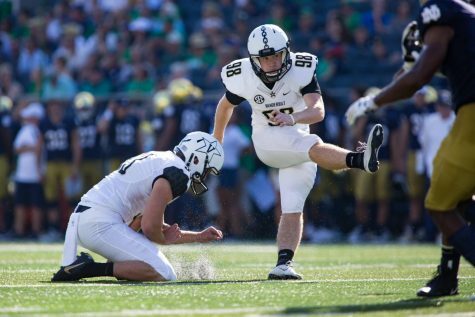 Vanderbilt University is rarely, if ever, in the national spotlight for its athletic teams. It’s no secret that the elite university is known for its rigorous academic curriculum, rather than for its historically subpar athletics programs. That academic rigor can often present a challenge in recruiting elite athletes and remaining competitive against the athletic blue bloods of the SEC. The uniqueness of the university, however, is hardly a challenge to Turner. When asked about the academic rigor at Vanderbilt, Turner framed it as one of the many advantages of working at such a top-tier institution. Turner spoke about how he believes the unrivaled education available for student-athletes at Vanderbilt should pay dividends in the recruiting process. In fact, it played a role in his own recruitment to West End. Turner, a graduate of the University of North Carolina and later, Harvard University, takes great pride in academics. 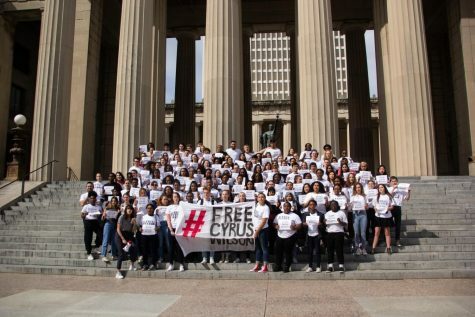 If the education at Vanderbilt served as a determining factor in his decision to move to Nashville, perhaps it will help recruit a new brand of Vanderbilt student athletes as well. 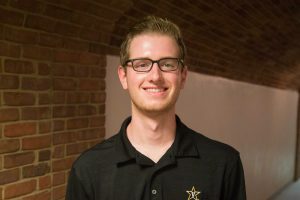 Turner, who has no previous collegiate athletic administration experience, is prepared to bring the best aspects of a pro sports model to Vanderbilt. In his most recent role as the president of the NBA G League, he grew the league from 14 to 27 teams while also forming a partnership with Gatorade. He was not shy about the hard work it took to take the G League to its current level. “That really started to set us on a different growth trajectory that enabled our Gatorade relationship to transition into the NBA G League,” Turner said. With more attention being put on amateurism in basketball, among other sports, Turner is excited to tackle these issues from the other side of the table. At the G League, he was instrumental in introducing select contracts to high school players who wish to skip playing college basketball. Starting in 2019-2020, elite high school prospects will be able to earn $125,000 in one season as they develop and play on a G League team. After the season, the player is eligible for the NBA draft. 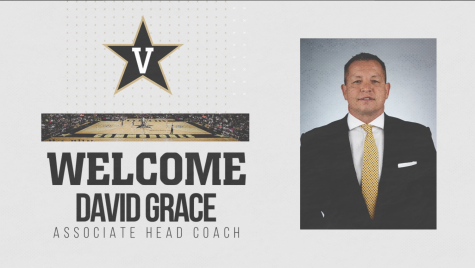 As he transforms Vanderbilt into a leader for change in college athletics, he also wants to continue to grow the Vanderbilt brand using the skills he developed building the G League’s brand. 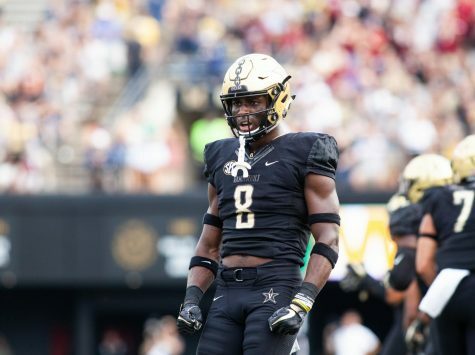 “It’s my sense and feeling that there’s tremendous upside opportunity here with all that’s going on with Vanderbilt, the leadership institution that it is against the backdrop of the growth market and all the things that are happening here in the city of Nashville, I think there’s just a wonderful story that can unfold here building on the successes that David Williams and his team have already had,” Turner said. He successfully changed the perception of the G League from a league of leftovers to a legitimate development league that claims over half of NBA players as former players. Now, his next mission is to transform Vanderbilt into a force to be reckoned with not just in the state of Tennessee but across the country. Turner has said time and time again, he hopes to foster an environment where he can “listen and learn.” Many of the voices he’s listening to, presumably, are Vanderbilt fans that won’t stop until facilities like the football stadium are renovated. Fundraising is no easy task, especially at Vanderbilt. 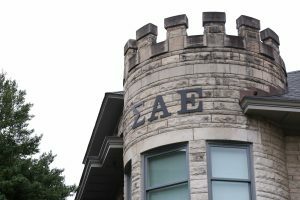 Earlier this year, reports from The Tennessean revealed efforts to undercut athletics fundraising by the administration with the hopes of spending it on other campus buildings. If Turner were to listen to those calls and one day renovate the football stadium, he would need to do a whole lot of fundraising. Fortunately, fundraising is something he’s well-versed in, as he catalyzed the strategic partnership between Gatorade and what’s now called the NBA’s G League. By now, Malcolm Turner knows the ins and outs of fundraising, and boiled it down into three key components. “I think the building blocks to effective fundraising are creating a compelling vision for the future, developing relationships and asking for the sale,” he said. Turner prides himself on his ability to fundraise. He’s had to do it at his previous jobs, and inevitably, he will have to do it again at Vanderbilt. He knows that it’s never been any trouble for him to create revenue and increase fundraising efforts, which should leave Vanderbilt fans with a sense of optimism. Furthermore, at the time of the interview, Turner had hardly even toured all the facilities. That didn’t stop him from having his eyes on the prize. 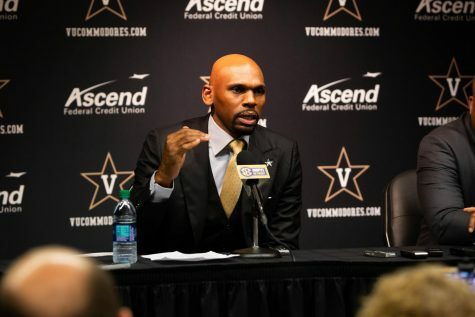 He acknowledged the uproar of conversations regarding the football stadium in the news, and mentioned that there is plenty of history within Vanderbilt Stadium. However, there must be forward momentum. “It’s very clearly early on my agenda to take a look at [the stadium] and make sure I understand the issue as we try to chart a path forward,” he said. Non-revenue sports such as tennis, golf, soccer and bowling are currently some of Vanderbilt’s most successful programs. Turner emphasized the need to provide both basketball teams, as well as the football team, with the money and support they need to win in the SEC. The once-mighty basketball teams have combined for one SEC win this season, and both have failed to meet expectations for many years. Investing in everything from facility improvements, coaching salaries and athlete support resources will be on the table to bring Memorial Magic back. Even though his last job was in basketball, Turner has experience with multiple sports throughout his career. He was the managing director of Wasserman Media Group’s golf division and a senior vice president at OnSport, a sports and entertainment consulting firm based in North Carolina. Turner understands both the importance of elevating both basketball programs and maintaining the success of Vanderbilt’s other sports. New Teams on the Horizon? 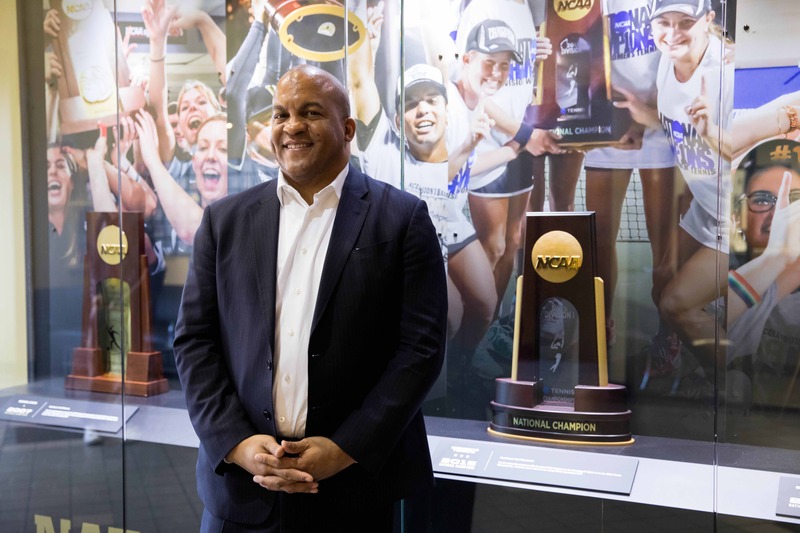 In David Williams’ final interview as athletic director, he said that he regretted not expanding Vanderbilt to 20 athletic teams, citing women’s softball, women’s volleyball and men’s track as sports that he would have liked to have added. He even said ice hockey is a sport that should get some attention in the future. Turner is all ears when it comes to executing Williams’ ideas. As far as hockey is concerned, Turner is also intrigued by the concept, given how Nashville has become “Smashville” with the Predators’ success in the NHL. However, there is a lot more legwork to do with hockey, with the first issue being finding a suitable rink to play in. Regardless, Turner is on board with looking into what it would take to bring Division I college hockey to Vanderbilt. 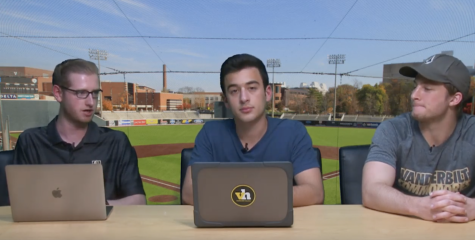 Last week, Vanderbilt Baseball announced plans to sell beer and spiked seltzer in an outfield lounge at Hawkins Field starting in SEC play. That represents Vanderbilt Athletics’ first foray into selling alcohol at one of its on-campus venues. Current SEC rules prohibit alcohol sales in the stadium proper, but carve out an exception for premium areas, like the one Vanderbilt will implement in Hawkins Field. Turner wants to learn more about the intricacies of the SEC’s policy on alcohol and what the future might hold for the issue at Vanderbilt. He’ll be watching closely to see how this experiment at Hawkins Field goes. 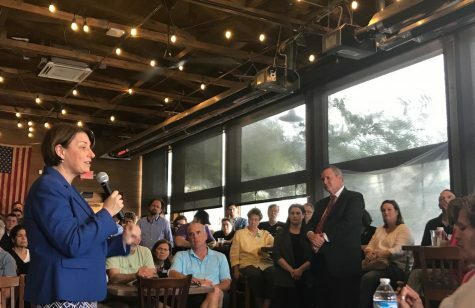 He also said that the alcohol policy will be one of many topics Turner will bring up when he visits SEC commissioner Greg Sankey at the conference’s headquarters in Birmingham, Alabama this week. A few weeks ago, the Vanderbilt men’s basketball hosted the Tennessee Volunteers, who were ranked first in the nation. That, in addition to the immense rivalry, may have brought out the largest student attendance at any game this year. However, Vanderbilt was still likely outnumbered by Volunteer fans in Memorial. It’s not just basketball. 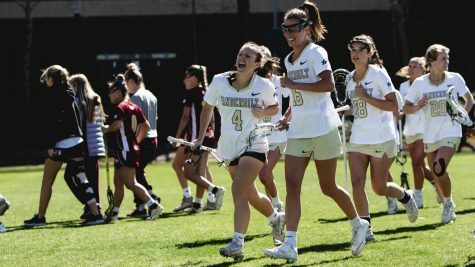 In fact, some of the best teams at Vanderbilt, such as the top-25 women’s soccer team, struggled immensely with student attendance through parts of the season. 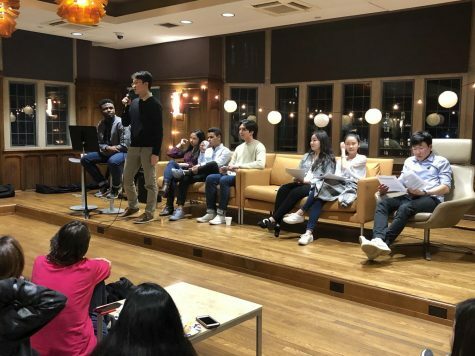 Turner has a vision for these teams; he hopes each and every team can accelerate in their own unique way, but when it comes to student engagement, he’s willing to hear feedback from those who’d understand it best. It’s hard to fully wrap one’s head around the attendance problem, and furthermore, to solve it, without having experienced it. That’s why Vanderbilt’s brand new athletic director wants to hear from the very students attending these games. From attendance, to fundraising, and to facilities, he wants to find out how to help each program reach its highest potential. And he wants to make sure the relationship between the student body at-large at Vanderbilt Athletics gets stronger and stronger.